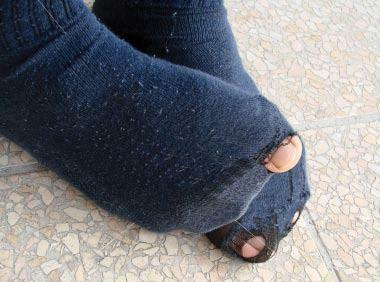 The goal of the Sock Drive was to gather 5,000 pairs of white, tube socks to be distributed to the homeless. During the months of May and June, American National Bank collected more than 6,000 pairs of socks and raised enough money to buy at least 2,000 more pairs of socks. This entry was posted on Wednesday, January 27th, 2010 at 6:51 pm and is filed under Uncategorized. You can follow any responses to this entry through the RSS 2.0 feed. You can leave a response, or trackback from your own site.